New for 2016: Grand Canyon Backcountry Tour! Grand Canyon (“Tuweep”) Backcountry Tour! Toroweep Overlook, with Colorado River (3,000 ft. below!). More than 5.5 million tourists visit the Grand Canyon each year. Most of them visit the South Rim, near Flagstaff, Arizona. Far fewer make their way to the North Rim, in-spite of its proximity to Zion and Bryce Canyon National Parks (less than 3 hours from Springdale). Both rims are stunningly beautiful, but overcrowding and overdevelopment are frequent complaints. Paved roads, sidewalks, gift shops, and visitor’s centers make access easy, and services convenient. Unfortunately, it often makes a Grand Canyon visit feel more like a crowded theme park than a natural wonder. Where is the solitude? Where can one go to experience nature on its own terms? On the road to Tuweep, Grand Canyon. Colorado River & Grand Canyon. Now you can see this scenic wonder with a margin of safety and comfort. 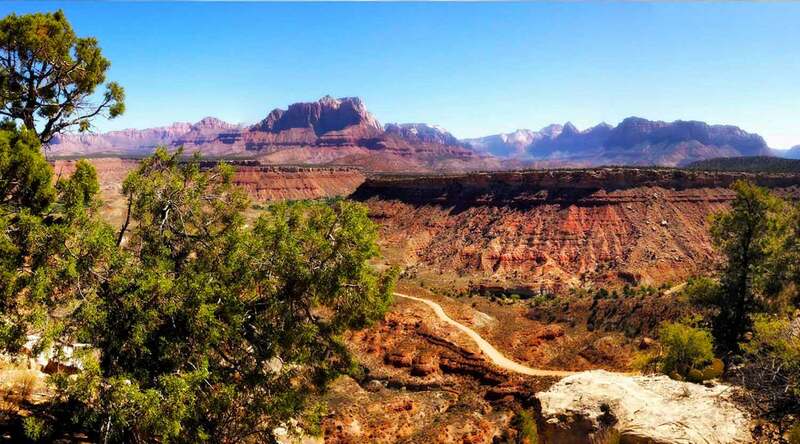 Zion Outback Safari’s has added this Grand Canyon destination to their popular selection of backroad tours near Zion National Park. By booking a private, custom tour to the Tuweep section of Grand Canyon, you can focus on the fun while your guide does the work. The trip begins from your Springdale area location. Your guide will pick you up at your convenience, generally around 9am. You’ll sit back in an air-conditioned Jeep, learning about the spectacular scenery, the geology, plants, and animals of the high-desert, and the fascinating human history of this remote region. Lunch, snacks and plenty of water are provided, and all aspects of your trip can be customized to meet your needs. For more information about this exciting new tour, contact Zion Outback Safari’s at 1-435-668-3756. Make your next trip to Zion an experience of a lifetime!